We are the manufacturer! Buy Direct! Total UVA & UVB protection. 25 disposable black knickers. 25 disposable black hair nets. on all orders. fast despatch. 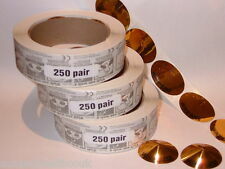 SUNBED UV GOGGLES - PACK OF 25 PAIRS. 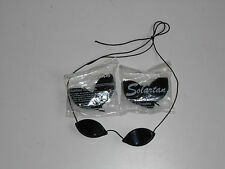 GOGGLES SPECIALLY MADE FOR SUNBED/SUNTANNING USE. Wipe/Buff off prior to tanning session. Are you having complaints of uneven tans or streaking?. Watch Item. This facial tanner gives you an attractive tan all year round. The angle of the tanning field is adjustable, so that the light reaches your face at an optimal angle. The angle can be set in two positions so you can enjoy your tanning session in the position that is most comfortable for you. PROFESSIONAL HAIRDRESSING & BEAUTY SUPPLIES . Adjustable Velcro fastening. Layers of soft non woven material are stitched together to make a generous 90mm wide headband, that protects hair. In particular from facial tanning spray or creams. ILidz FlexiSoft Indoor & Outdoor Total UVA & UVB Protection Tanning Goggles - 1 Pair. FlexiSoft Material For Closer More Comfortable Fit. Total UVA & UVB Protection. Oval Lens for Improved Visibility. To avoid brown streaky feet and footprints around the salon. EXTRA LASH ROOM FOR LONGER LASHES!!! About Beautyfor. BeautyforÂ® provide integrated solution for beauty market. We provide the best products with best quality. ONE PAIR OF NEW SEALED SUNBED GOGGLES - COMPLIANT WITH FDA AND CE SAFETY REGULATIONS. TOTAL UVA & UVB PROTECTION. 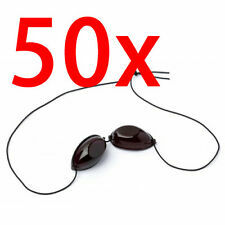 10 Pairs of iGoggles Eye Protection. - For indoor & outdoor tanning. - Total UVA & UVB protection. Rinse cleanser from all parts, and dry, before assembly. Maxi Clean HVLP Gun Cleaner. -Spray cleaner out of gun, into towel, sink or wash station, until empty. After every 10-20 spray sessions, guns should be disassembled and deeply cleaned. Our mission was to create beautiful flawless natural looking tans, from a tanning/product range that was filled with natures best components, but with the cleanest ingredient list we could possibly find. The research pre-production (and the feedback since launch) has indicated that the Radiant Glo home tan mousses are probably the best Self-Tanning Range on the market today. A Premium Self-Tan Mousse made with Natural & Organic Ingredients including, Organic Moroccan Argan Oil & Organic Aloe Vera, but without the use of harmful chemicals. No Propylene Glycol, No Ethylene Glycol, No Parabens No PEG's. Medium Mousse, Dark Mousse and 3-in-1 Gradual Tan, Tan Extender and Moisturiser (infused with Shea Butter). 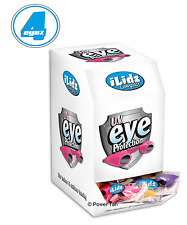 The original clean easy and disposable eye protection! No tan lines! Ideal for all types of salon work. Mango Smoothie Tan Extender. Mango Smoothie Tan Extender / Self Tan Cream- 200ml. With just the right amount of DHA to extend your sunless tan without drying out your skin This lotion is rich in Vitamins A, D and E to help build the skin's natural defences and promote a healthy glow.